The Interwebs have been busy today, busy with the circulation of a video featuring Dr. James O’Keefe – And this has got ultra runners and endurance athletes talking. Is ultra running and endurance sport actually bad for your health, or rather your heart? Having watched the video, it’s hard not to be captivated, and slightly concerned with what James offers up if you’re pretty uneducated in this area, as I am. I am no expert in cardiology, so don’t take me as such. All I aim to do with this article is open up the debate somewhat and get others to share their opinions and views too. As a former ultra-runner, James knows our community and understands us well, and he has since completely pulled back from running extreme distances as a result of research he has carried out as a cardiologist. Before we get into the meat of what he talks about, I’d like to share with you a story of mine, and one of the reasons why I decide to commit some words to screen. Three and a half years ago, I was sat at work on a normal Monday morning. I was at the time in the middle of training for a 100 miler. At just gone 11am I literally collapsed at my desk and blacked out. A second or two later I felt what I can only describe as a bolt or burst of energy run straight through me, followed by a racing heartbeat which was hitting well over 180 sat down. I felt awful. People rushed over to see if I was OK and I laid down on a sofa for 20-30 minutes to try to calm down and get my heart rate back on track. I’m not joking when I literally thought that was it. Goodnight Charlie, your time has come. I thought if this is what a heart attack is, then I think I’m having one. Having calmed down I went to the emergency doctors to try to understand what the hell had just happened. They did blood tests etc… and everything was normal. I told them about my running and I was referred to a cardiologist. To cut a long story short he suspected that I’d suffered a heart arrhythmia, and that the sudden jolt or burst of energy I’d experienced was indeed my heart regulating itself and jolting me back into action. He couldn’t be 100% sure that this was the case, but he said he’s seen it quite a few times in endurance athletes and as a rower, had actually suffered from it himself. So as you can see, its a topic that is pretty close to my heart (for want of a better phrase), and something that I’ve paid particular attention since this incident. Indeed, only last August I went for a regular ECG (I go every 12 months), and this caused all manner of issues because I was detected as having an irregular heartbeat. Subsequent scans and a full-blown heart MRI have show that everything seems to be in check, but for me, a regular yearly visit to the cardiologist is now an essential date on my diary, and I believe should be for all ultra and endurance athletes. My cardiologist was pretty good about it all. His attitude was certainly not to tell me to stop doing what I’m doing, but he did say that it’s becoming more and more of an area that he and his colleagues are paying more attention too. So given my experience, I was particularly interested to see what James O’Keefe had to say on the topic. I’ve pulled out some highlights below, but also there a rather excellent overview from Sam Robson too, which aims to provide some reasoned argument too. One of the first examples James cites is the story of Pheidippides, the Greek herald who ran the 26 miles from Marathon to Athens to proclaim victory against the Persians, whereupon he promptly fell down dead. But other versions of the Pheidippides story have him running from Athens to Sparta (150 miles), then back again – slightly more than 26 miles. Secondly, and this is where I sit, it’s probably a myth, but we know that human beings are more than capable of such feats of endurance, so it’s not beyond the realms of possibility. However, when James talks about ‘running far’, this is different for different people. It’s also different depending upon where you are in your training and ultra careers too. Personally I think problems arise when people try to do too much too soon. And maybe this might have been the case with me initially. James also reflects on the death of Micah True, who died last year at 58 whilst out on a routine training run. The coroner’s report said that the death was due to a pre-existing heart condition, resulting in thickening of the left ventricular compartment. 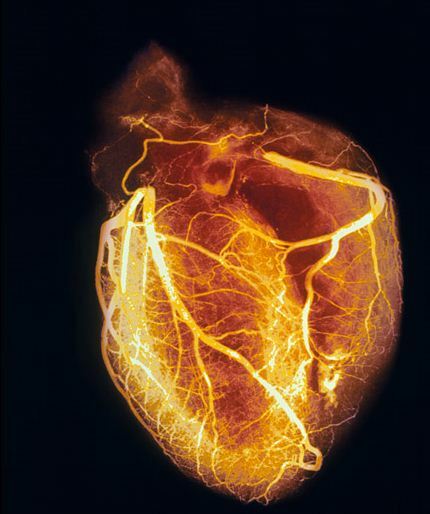 This scarring of the heart fits the sorts of heart defects that Dr. O’Keefe suggests are related to extreme exercise – Pheidippides cardiomyopathy as Peter McCullough describes it. Pretty compelling yeah? But what it shows is that runners are not immune from heart problems, but are they more likely to suffer from them? Jury is still out. Are runners more likely to suffer from heart problems than non-runners? What he also fails to mention when discussing deaths in marathons for example is that a fair chunk are caused by hyponatremia. “I don’t claim that there is no merit to the claims that running extreme distances causes heart problems, but the evidence that I have seen so far is open to interpretation. Firstly, there are a large number of extreme athletes that haven’t suffered from any form of heart defect (pulling Micah True and Jim Fix out as arguments against running ignores the much larger body of similar runners who haven’t died young from heart conditions). This is the important bit for me. Having that heart issue back then hasn’t stopped me running – if anything I’m quicker and stronger than ever before – I love to run, I love training and I love running in the bush. OK, so it’s made me think twice a little, and as a result I also ensure that I was a good break from running each year too. For me it’s about moderation. If we’re honest, ultra-running is an addiction and too much of it can be a bad thing, just like any drug. Like all things in life you need balance. OK Dan so the premise is that ultrarunning is an addiction and further that it can be bad for your heart. I think anything taken to extremes can be classified as an addiction or a habit. I don’t mind saying that at times I am addicted to what I do – better than being addicted to drugs! However my feelings are that there’s still a lot of unknowns about this area, much as there are a lot of unknowns about the long-term effects of drugs like ectasy as well… we wont know really for another 10-20 years I would have thought, but it doesn’t help to take it easy now and again and just get yourself checked out I think. It’s interesting how much traction these studies have garnered, and it worries me slightly. Ordinarily, these would be very interesting pilot studies suggesting a new area of research into a potentially misunderstood area of human physiology. But given the controversial results, they have made big waves. However, the studies as they are now do not stand up to scrutiny (as I have found when looking into them in detail), and in some cases make the complete opposite point of those claimed in the video. To make such bold claims on preliminary studies such as these is quite dangerous given the media’s love of a good “Marathons Are Bad For You” story. Reasoned consideration from all parties is all I look for. But I think that we can all benefit by considering our own personal health, keeping an eye on our hearts, and not allowing ourselves to run “too far” (a purely subjective quantity). Thanks for commenting Sam – hope you didn’t mind me quoting you 🙂 I agree, and hopefully alluded to as well that there just isn’t enough data on the topic right now, and that is also the feedback I’ve had from my cardiologist. For me, it’s common sense to keep an eye on your health, especially where ultras are concerned because they are so extreme. Thanks for adding to the debate. Not at all! Thanks for the mention. Thanks Dan. I had seen the video and a lot of the chatter that followed it. Worthy point of discussion for sure. I have attached a link here to my blog which chronicles my experience with exercise induced Atrial Fibrilation http://howmanysleeps.blogspot.com.au/2011/05/out-of-hardrock.html Bear in mind I had been running for nearly 30 years and had done a lot of big ultras before this manifested (including 16 x 100 milers). For those that worry about these things it is worth skipping forward in my blog 18 months to see what I have managed to achieve since my heart surgery. So it is not all doom and gloom but definitely something to be aware of. Cheers. That is some scary stuff. I’m not sure how much research has been done, but it does make sense. When you over stress a muscle or a tendon, scar tissue builds up. And there has been a lot of documentation on the negatives of scar tissue, and how it reduces flexibility. So it would be logical for the heart and arteries to go through a similar ‘healing’ process. Micah True might have had a genetic condition which expressed itself later on in life. There is evidence of him fainting before becoming a long distance runner which would indicate this was the case. So to suggest that running is the likely cause for his heart failure needs to be questioned. As someone who has been misdiagnosed with a rare genetic condition (Left Ventricular Non Compaction) I too find any research on heart of great interest and somewhat frightening as a lot of it is conflicting but by and large the data is inconclusive. What my situation has taught me is that cardiologists in fact need to be challenged and questioned as these studies are being released. As a whole, statistics suggest just do not stack up against long distance running. As with Martin Dugdale, I’m suspicious and would love see report and sampling method. When it comes to medicine (and even sport research), sampling is something that could always be improved. Having read the autopsy report (http://extremelongevity.net/wp-content/uploads/2401-12AutRpt.pdf) I am somewhat sceptical of the heart as the cause of death. Straight out, I’m not going to claim expert knowledge in the clinical diagnosis of CMO’s. I’m an echocardiographer – I ultrasound hearts so although I’m not involved in the clinical decision process, I work with it daily I’ve been lucky enough to have seen what is called the “athlete’s heart”. They are big, voluminous things that have increased mass due to the hypertrophic adaptation (more muscle) required to balance the increase in volume and manage the increased wall stress placed on it by said volume. Measurements of 1.3-1.5cm wall thickness are large, and indicate problems in the normal population – chronic high blood pressure, hypertrophic CMO’s – but said thicknesses have been described in healthy athlete populations BUT it is not in high proportions. What I find confusing is that all of these pathological causes aren’t associated with dilatation of the left ventricle. This all said I know nothing of the criteria that is used to define a CMO at autopsy but the mere fact that there were no areas of regional fibrosis makes me suspicious that he developed an arrhythmia which is the normal cause of death during exercise. Hypertrophic CMO’s at autopsy show derangement in muscle fibres and regional fibrosis – it’s pathological as compared to what you do during exercise which is a volume stress. Russell – normal stresses don’t lead to scar tissue formation, this only occurs due to injury. Like skeletal muscle, when you stress muscle within it’s normal limits, adaptation is achieved by more sarcomeres and not scar tissue. Medicine in general angers me because of it’s reactive attitude to health. I’ve come across maybe a couple of cardiologist’s who actually participate in intense cardiovascular exercise. The rest it’s crazy to exercise like I’m sure most of the people who read this do – I don’t even get close to some of the guys who run ultra’s and everyone thinks I’m a weirdo.